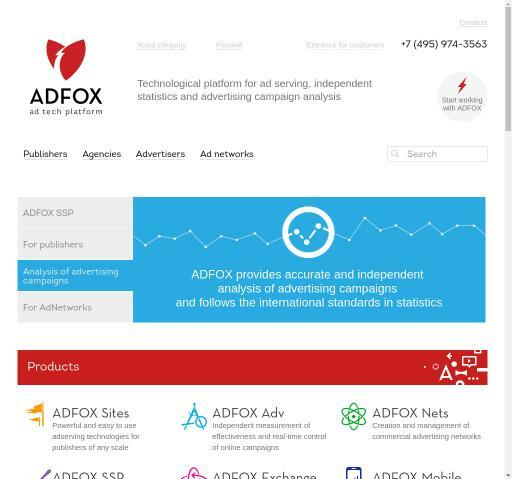 AdFox Banner advertising network details. AdFox is an ad tech platform designed to help advertisers catch audience' attention and help publishers monetize their cyberspace. Clients using this ad serving platform will be provided with independent statistics and advertising campaign analysis in real-time. Publishers can use any standard advertising formats from given banners or create your own new formats, and to maintain each campaign with all the advanced settings. The platform is powerful and user-friendly for publishers and advertisers of any scale. AdFox uses different technologies to help advertisers segment audience, get a complex analysis of the campaign, and manage your ad spend. Start working with AdFox by joining its premium network today! You can check AdFox reviews on Affbank and ask AdFox Team any question by using the contacts above, especially about how to earn money!